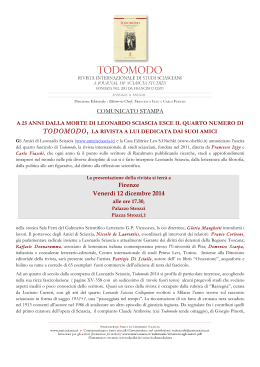 Leonardo Sciascia: una storia veramente semplice? ‘rubble’. Would this still be true for Sciascia’s regular readers? cold morning sunshine. 18 He is clearly no Rogas, no Bellodi. justice, they are faced with a different, possibly unexpected, outcome. as an exception, on facets of civilization anywhere in the world. and misguided, yet, tragically, the customary political norm. diagnosed a straightforward case of universally complex complicity. I mafiosi (published with Recitazione della controversia liparitana dedicata a A.D.
officer. He is subsequently almost killed, himself, but instead, manages to shoot in selfdefence. Nevertheless, the investigation closes with a cover-up. curious reference to E. M. Forster, shells and Beethoven (from Forster’s short story ‘Coordination’). and explores the picture they present of the realities of life in Sicily. Candida, who had, however, been stationed at Agrigento. 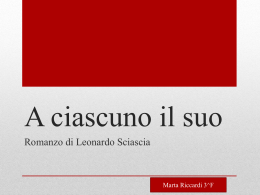 was Sciascia’s innovative way of penetrating reality. incurable cancer, going to a clinic in Switzerland for treatment, as Sciascia went to Milan. In Una storia semplice Professor Franzò has to undergo regular dialysis, as did the author. that, increasingly, he was exploring his own myths. 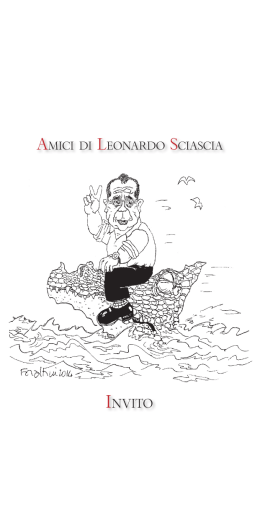 far less of the restful pleasure that Sciascia always claimed were part of writing for him. 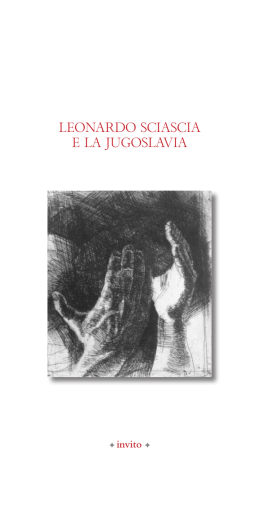 Giuseppe Bonura in Avvenire, 21.11.89, reproduced in Nuove Effemeridi, p.91. a similar scene is described. that Sciascia is having fun. to shout repeatedly at the other obviously inept officers not to touch anything. hindrances with which the detective-protagonists have to contend. dato un contributo risolutivo, di confusione piuttosto” (Una storia semplice, pp.14-15). Ania, Fortunes of the Firefly, pp.14, 17, 58.
investigator, although it is not intended necessarily to be seen as a positive characteristic. vizio pericoloso”. It goes without saying that curiosity is also a vital quality for the reader. 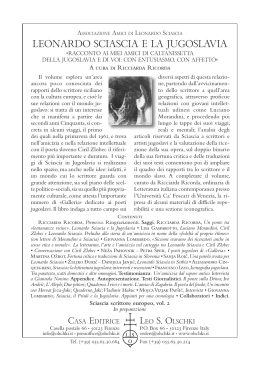 See Una storia semplice, p.20. A ciascuno il suo, p.61. He is described thus by his nonagenarian father. Il cavaliere e la morte, p.21. Farinelli, dir. by Franco Matteucci, RAIDUE, 12.7.92 (repeated 22.11.92). and instigation of violent crimes. Salvatore Butera in Il sole-24 ore, 21.11.89, published in Nuove Effemeridi, p.94. 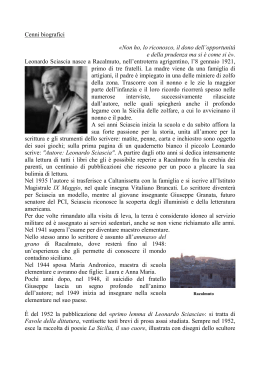 See Una storia semplice, pp.45-46. condoned, turned a blind eye to or even assisted mafia activities. not to find sympathy with this judgement.